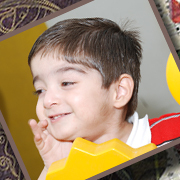 The Centre aims to provide a clean, healthy and safe environment where children can feel at home and be themselves. It aims to provide stimulating and flexible surroundings where children are afforded the opportunity to establish and enjoy personal relationships with non-family members. For preschoolers, the emphasis is on learning through play, creativity, problem-solving and communication. The Centre will structure the curriculum to take into account each child’s needs and development to enhance their individuality. It will constantly strive to customize and research the curriculum, the activities, toys and playground equipment to meet the developmental and social needs of the children. For the Activity Centre, the Centre’s mission is to provide a vibrant environment for activity, sport and learning that will inculcate a life style of fitness through enjoyment. It would do so by providing opportunities for professional coaching to learn foundation skills and the means for physical recreation though modern high quality sporting facilities in a cost efficient manner catering for all abilities. Crystal Children's Centre (CCC) inspiration comes from Mr. Piyaray Raina and Mrs Kity Chowdhury. They have been residing in DLF area for over 20+ years. Mrs. Chowdhury has been an educator for over 35 years. They dreamt of CCC in 1990 and have been working tirelessly to actually fulfill their dream of creating an amazing place for kids based on international standards. Dr. Jyoti Raina (FRCS) is the Chairman of the Board and currently is a practising Opthalmology Surgeon in United Kingdom. She resides in London along with her husband Dr. Sunil Trakru and two daughters. Dijjotam "Dijji" Raina (B.S. (Pilani), MBA (University of Mississippi)) is CEO of MedOfficePro, Inc. (www.medofficepro.com) and currently resides in Atlanta (USA) along with his wife Dr. Aarti Raina and twin boys. Mrs Shivani Sarin joined CCC in April 2008. She assumed responsibility as Centre Incharge in May 2010. She is passionate about children and loves to provide a caring environments for children at Crystal. Parents and staff love her.